All New Razer™ Mechanical Switches. Designed specifically for gaming, the all-new Razer Mechanical Switches actuate at an optimal distance, giving you speed and responsiveness like never before. Precision manufacturing process for tighter tolerance. 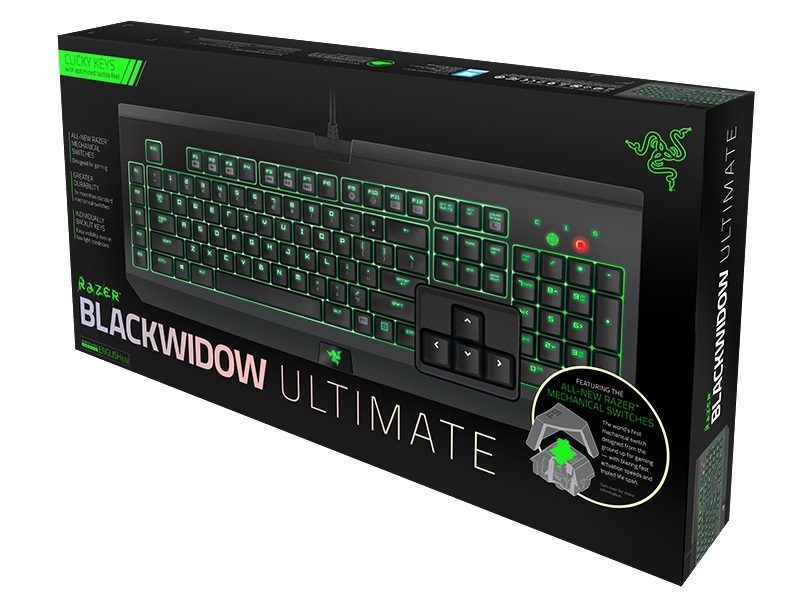 The Razer Mechanical switch is designed to actuate at an optimal distance of 1.9mm into the keystroke, and reset itself to fire again at less than half the distance of standard mechanical switches. This allows for blazing fast actuations without having the need to bottom down into the keystroke each time. 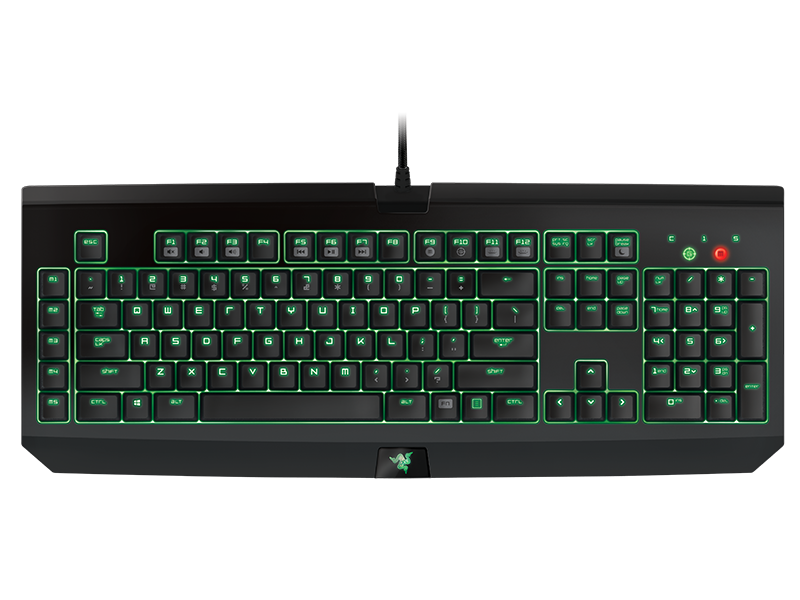 No matter how intense your gaming marathons get, each Razer Mechanical Switch is engineered to withstand up to 60 million keystrokes, so you’ll enjoy the Razer advantage for longer. 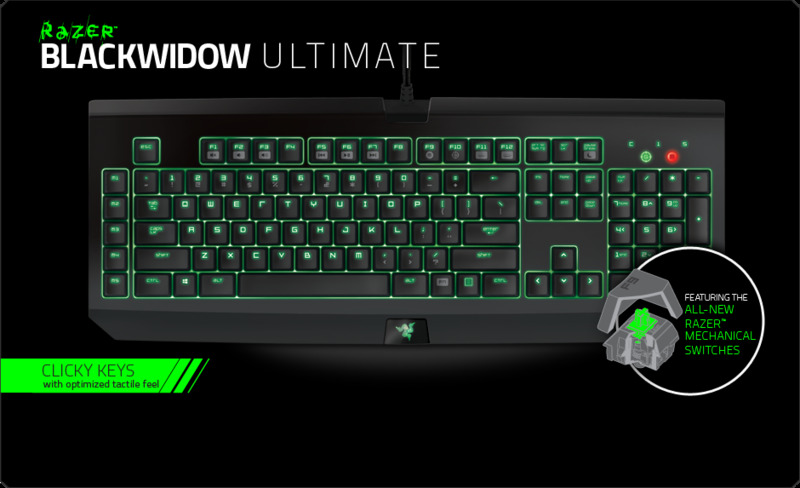 Whether you’re gaming under low-light, or no light, individually backlit keys ensure you never misclick – after all, it could very well be the difference between victory and death.